This book really pulled me in and held my interest almost to the end. I loved the idea of Riley digging up her family’s secrets. I thought the book was well written and very suspenseful, but I don’t like it when a story wraps up too neatly, which is what I felt happened here. It’s probably just me, since I have read other glowing reviews for this book. 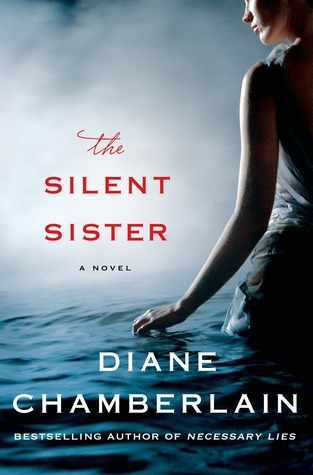 I have enjoyed this author’s work in the past, and am sure many will enjoy The Silent Sister as well. In The Silent Sister, Riley MacPherson has spent her entire life believing that her older sister Lisa committed suicide as a teenager. Now, over twenty years later, her father has passed away and she’s in New Bern, North Carolina cleaning out his house when she finds evidence to the contrary. Lisa is alive. Alive and living under a new identity. But why exactly was she on the run all those years ago, and what secrets are being kept now? As Riley works to uncover the truth, her discoveries will put into question everything she thought she knew about her family. Riley must decide what the past means for her present, and what she will do with her newfound reality, in this engrossing mystery from international bestselling author Diane Chamberlain.